We made an unplanned stop at the Luray Caverns in western Virginia. 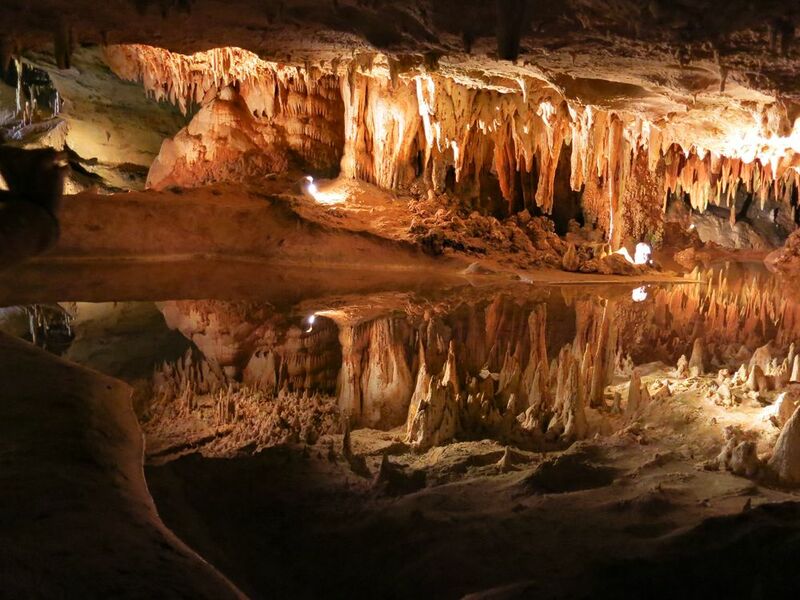 This mirror-like pool in the caverns was but one of many stunning sights. We had never driven through nine states in a day, not even when co-piloting a support van for Pamelia's stepbrother more than a decade ago as he bicycled in the nonstop Race Across America from Oregon to Florida. But that's an advantage of living in the compact Northeast: If you hit the road at dawn in Maine, you can see nearly one-fifth of the U.S. states before you pull into Winchester, Va., for dinner. That's exactly what Pamelia and I did in kicking off what should be an eventful and creative Naturalist's Notebook off-season. I say "off-season" even though The Naturalist's Notebook never really sleeps. Indeed, we're re-opening the Seal Harbor Notebook the day after Thanksgiving (Black Friday), the day after that (Small Business Saturday) and every weekend from then through Dec. 22. We will open it on Wednesdays as well during that stretch. Please check our website (thenaturalistsnotebook.com) or our Facebook page (https://www.facebook.com/Naturalistsnotebook) for updates and hours. While on a hike in Virginia we paused to study the beautiful inner structure of a milkweed pod. During a hike in Virginia we saw a lot of milkweed and found these lovely insects crawling over some of it. These are milkweed bug nymphs, one of the few insects that can tolerate eating the plant. The bugs' bright coloration warms potential predators that the bugs are bad-tasting or even poisonous because of the milkweed they eat. Those little yellow guys are aphids. Even apart from those holiday dates in Seal Harbor, however, the months ahead will be almost as busy as the past season, during which (among other things) we opened two additional Notebook locations (in Northeast Harbor and Bar Harbor), began turning the Seal Harbor Notebook into a 13.8-billion-year environment, continued to develop our color-coded 13.8-Billion-Year Hue-Story of Our Life science-and-art initiative, ran art workshops ranging from encaustic painting (13.8-billion-year themes designed and taught by the amazing Dina Helal of the Whitney museum) to botanical drawing (Amy Gagnon) to anatomical drawing (Robin Owings) to ROY G BIV (Shannara Gillman), met a zillion great new people, added a puppy, worked on our new website, collaborated on a diorama-in-the-round, launched greeting cards and limited-edition giclee prints with the naturalist Bernd Heinrich, crowned Maine Wild Raspberry the champion of our Fifth Annual Sweet 16 Honey-Tasting Tournament, held a Maine hot-sauce tasting event in the middle of solar flares shooting out of our upstairs Sun, delighted an audience at the Northeast Harbor Library with a talk on animation by Dan McCoy of Pixar, welcomed the great astrophysicist Alex Filippenko of Cal Berkeley to the Big Bang room in Seal Harbor and began a sidewalk birding trail with the cooperation of shops in Northeast Harbor. We did plan to rest after all that. But, well, the road to 2014 beckoned. And so Pamelia, Rocky the puppy and I climbed into our Notebook-mobile and set off on a series of autumn trips—not only to Virginia (where we did squeeze some down time in Hot Springs) but also to several closer destinations, including Dartmouth College; the Museum of Math and Sports Illustrated's offices in Manhattan; and the Maryland home of one of America's top geophysicists. These road trips are continuing as we meet with new and old Notebook collaborators, catch up with our families, work on SI's preparations for the Sochi Winter Olympics, and generally brainstorm. 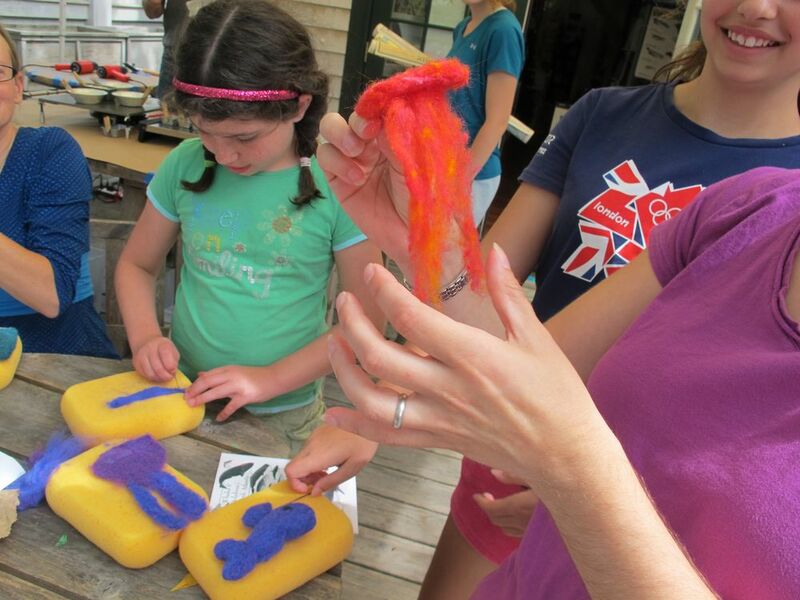 At one of the Notebook's summer workshops, we marbleized paper and fabric under the tutelage of artist Shira Singer. 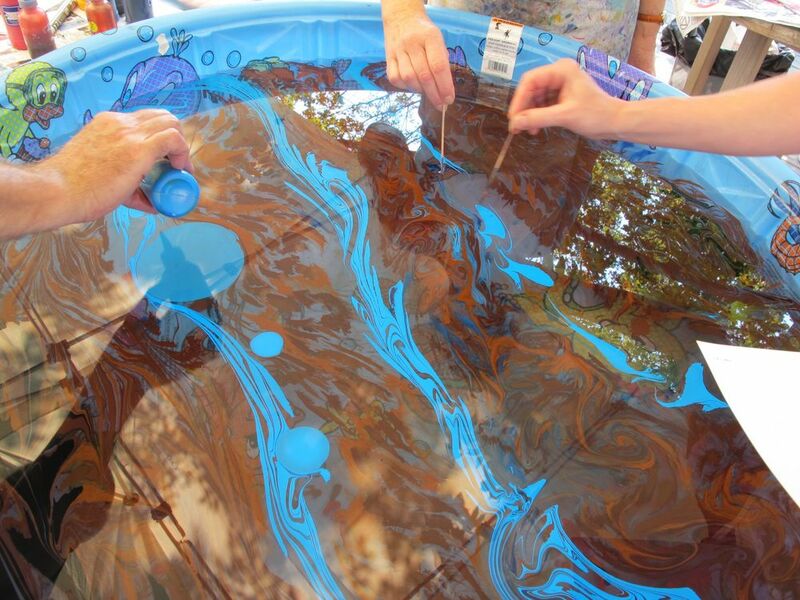 Here we're floating paint on the surface of thickened water. We then set a large circle of paper on top of the paint, removed the paper and rinsed it in the first step toward creating the planet Jupiter. Later on, at our house, special guests Dan McCoy of Pixar, Dina Helal of the Whitney Museum of American Art, Margaret Krug of Parsons the New School worked with Pamelia to the Jupiter painting. It will become one of our planet tables in the 2014 Notebook. 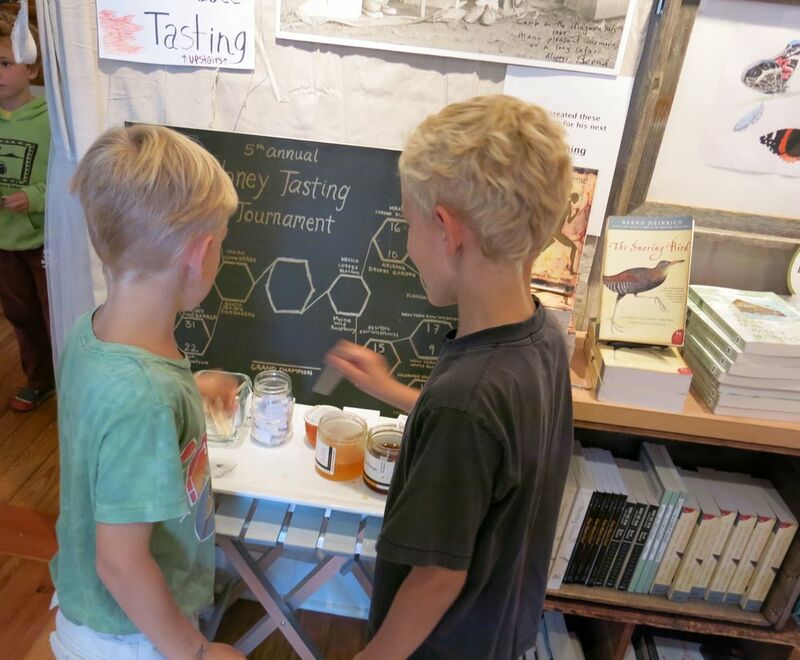 Our annual Sweet 16 honey tasting tournament crowned its first two-time champion, Maine Wild Raspberry. Jellyfish, anyone? Notebook visitors made needle-felted ocean life for our coral reef. Pianists young and old tested out our electromagnetic spectrum keyboard. 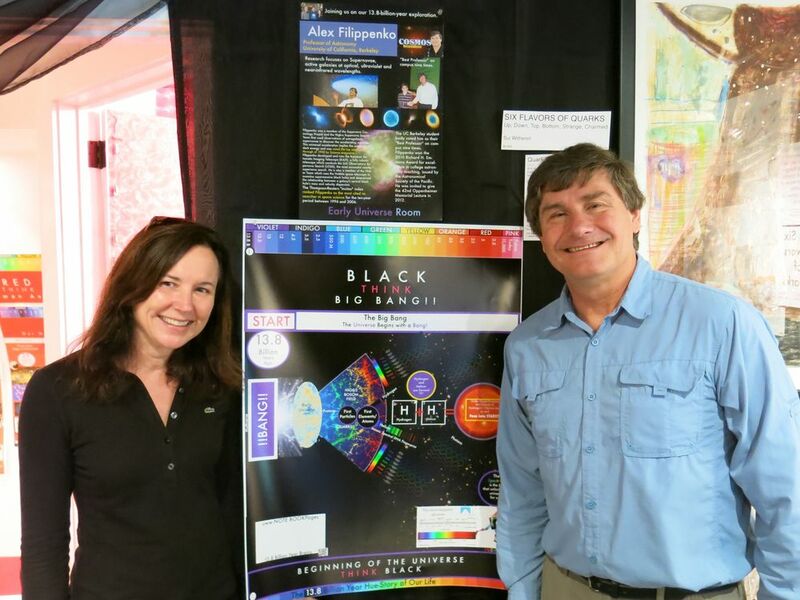 We had the pleasure of spending a day in September with world renowned astrophysicist Alex Filippenko, Cal Berkeley's nine-time educator of the year. 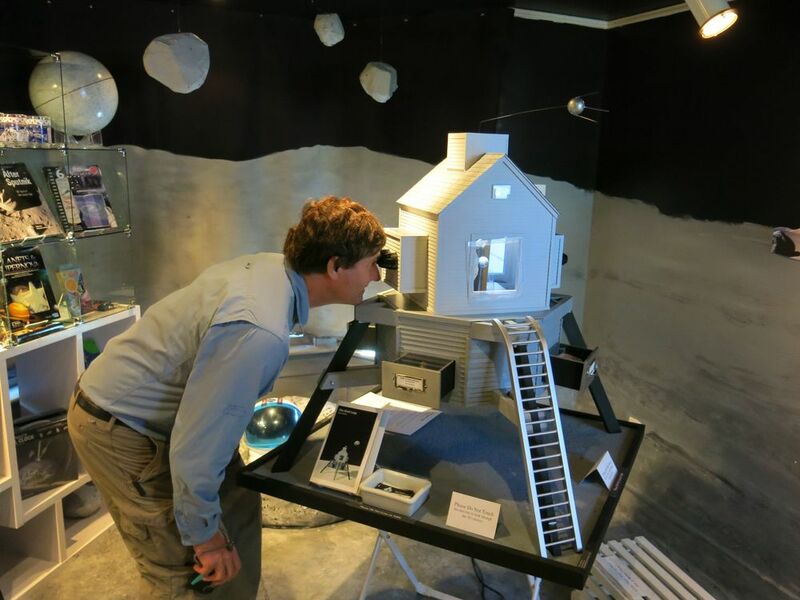 He was in Maine to deliver the keynote address at the Acadia Night Sky Festival. While in our Moon room, Alex checked out an out-of-this-world piece by New York artist Rocco Alberico, another of our collaborators. 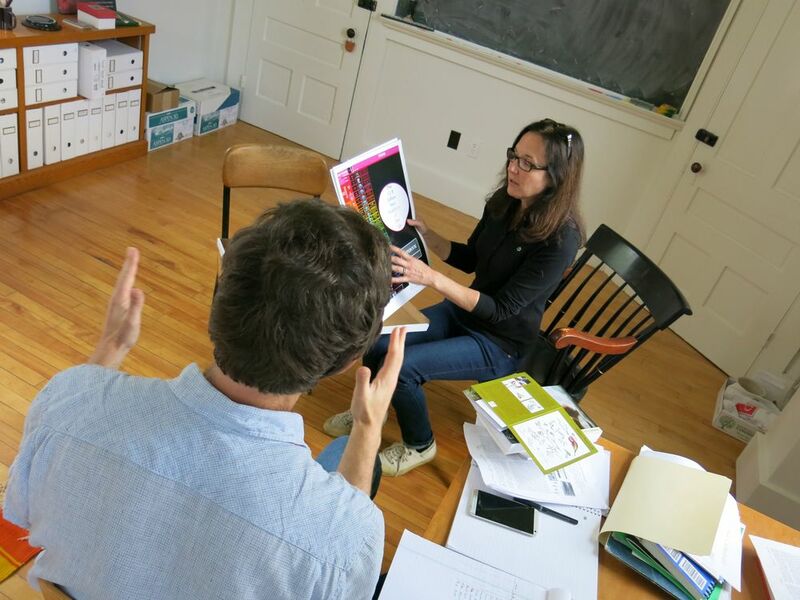 On an October trip to Hanover, N.H., Pamelia discussed our 13.8-Billion-Year Hue-Story of the Universe project with Dartmouth physicist Miles Blencowe. 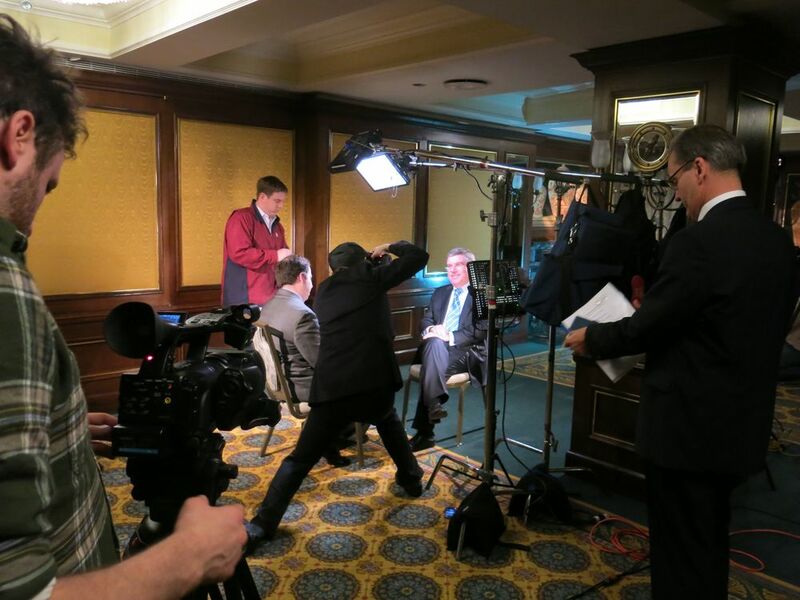 During a stop in New York, I met the new president of the International Olympic Committee, Thomas Bach, when he sat for an interview with one of my SI Olympic colleagues, Brian Cazeneuve. Today's Puzzlers Here are three to mull over. The first is an art-and-politics quiz. Can you identify the three U.S. presidents in the portraits below? The paintings hang at The Homestead in Hot Springs, Va., a retreat that 22 sitting presidents have visited. Here's an art-and-politics quiz for you: Which three U.S. presidents are these? The portraits hang at The Homestead in Hot Springs, a retreat that 22 sitting presidents have visited. 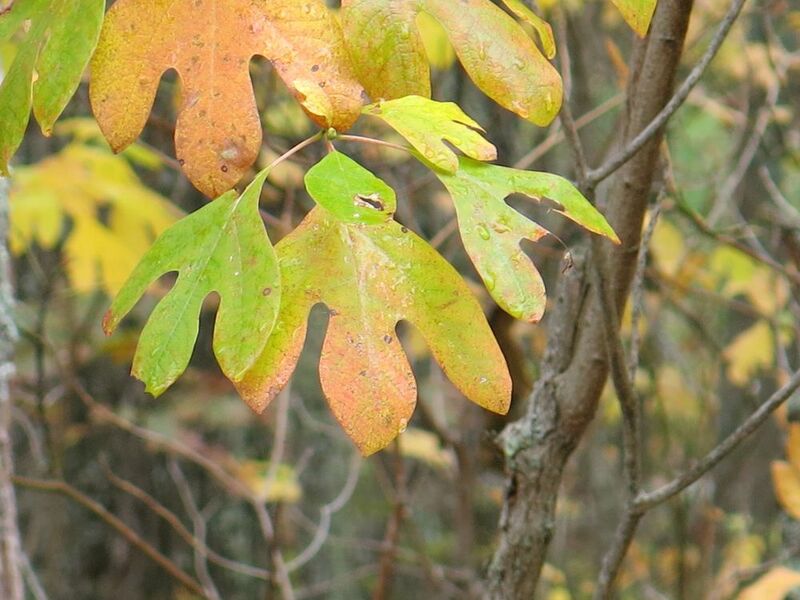 The second Puzzler: What type of leaf is shown below? The final Puzzler is one to which I don't know the answer. Can you identify this gigantic leaf we found on the ground during a hike in Virginia? What plant does this come from?